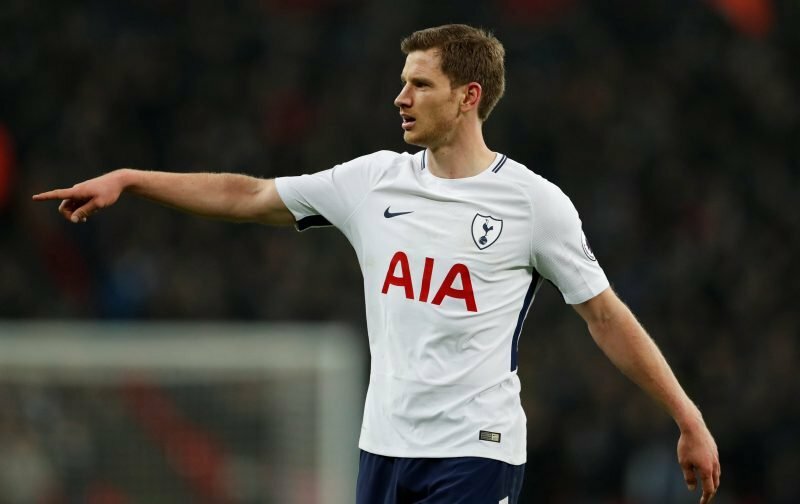 It looks like Jan Vertonghen is angling for a bit more holiday time under the manager. Our manager is a hard taskmaster, and I don`t think any player, no matter how senior, will change his training methods. Jan`s words sound like he maybe being a bit critical of Poch, but I don`t think he was saying it in that way. Every player would like a few more days off, and every manager has their good and bad points. The Belgian has gone from strength to strength under the Argentine`s tutelage in recent years and is almost the complete defender. I`m sure he appreciates that a big part of that has been due to the tough training sessions he has been part of under the manager in the last four years. The qualities he offers the team are invaluable, and the fact that we have the third best defensive record in the league is in no small part down to him. He especially deserves praise for how he`s dealt with the absence of Toby this season. Without his countryman alongside him, he has aided Sanchez`s adaptation to the Premier League, which has proven to be very successful. His experience has been critical in keeping clean sheets and allowing his Colombian centre back partner to flourish without many bumps along the way. The manager mentioned back in February that the club feel the 30 year old “needs to be rewarded” for his efforts on the pitch, indicating a contract extension is in the works. With his current deal up in 2019, I`m hoping the centre back signs on the dotted line for us sooner rather than later. How long a contract would you give Jan? Let me know in the poll. More money, more trophies, more days off, Walker must be laughing his head off. Maybe it’s a case of more is less, rest periods usually benefit players, i suppose MP thinks training more gets better results. I’d sign him for no more than three years. 33 is starting to get old and broken down for a PL CB. Let him go play for José Mourinho then.. Just kidding. wouldn’t wish that on the lad. give him a well paying contract for an additonal three years until he’s 33. There’s always a difficult choice to be made with players at 30 years of more. They’re at the peak of their careers and thus most likely to contribute to winning championships, but at the end of their peak, no matter what championships they’ve won, they quickly lose their value. Their sell on value. So the temptation is to sell their contract when they’re 30 and still worth a lot, but then you’re replacing them with someone young who’s yet to enter their prime. So, keep them through their prime years at top money, or sell them at top money while their in their prime? Tough choice, in truth. I’d keep Verts until he’s 33 and take the financial loss of missing out on selling him a top value. But then, it’s no my money, is it. If you think we should keep him at top dollar and lose the money at the end because we didn’t sell him earlier, don’t complain when the ticket prices at the new WHL go up up up up up up. He’s obviously not happy at Spurs and will be on his way to Newport in the summer …. well, that’s the spin the media will put on this! LEGEND – along with Lloris and Dembele for having given and still giving their best years to the club. You don’t finish 3rd, 2nd, etc with a mediocre team, you need quality players and that’s what these are. It’s a shame we could not back it up sooner but it takes time with moneybags City, Chelski and Utd even Arsenal and Liverpool. They will each have been with us for 6 years now and that’s a long time and worthy of merit, like I say they will have to be considered legends at the club when they retire especially of the modern era. I would give him a 3 year contract extension taking him to his 35th birthday – he clearly looks after himself and it doesn’t look like MP is going to let up on keeping them at their prime so be it. David I definetly see where you are coming from – it’s like trying to have your cake and eat it – viva the new stadium and year on year growth/improvement so as to find revenue stream’s from new places to negate player transfers being one of them. As for Jan that would be a total of 4 year contract taking him upto his 35th birthday and meaning he would be due a testimonial given 10 years completed and could pretty much retire and move up in the club a la King. 3 years with an option to extend to a 4th with no buyout clauses! He’s arguably player of the season. Def defender of the season! ..and still Levy wants Toby to stay within a £100,00 a week pay restraint and is looking at Jonny Evans as a £3m replacement. Alders and Jan are arguably the best CB Pairing in the PL and for a few shekels more Levy’s willing to let Toby go and break up one of the best CB partnerships we’ve had in years. What kind of signal does that send out to Jan? 3 more years will give the likes of Foyth and Sanchez time to grow into their roles letting Toby go now makes no sense. I wouldn’t blame Jan if he wanted to follow Toby out…. no wait ! Levy doesn’t need great players he’s got Poch to turn a good player into a great one and …its cheaper! pathetic miserable penny pinching short sighted Levy once again! Hope your enjoying my daily Tweets Daniel you’ll have to read them sometime! palmover, compared to previous managers in the EPL era, more training does appear to get better results. Hence MP achieved record high EPL league finishes and points totals for both Southampton and Spurs. Comparing us to a team like Man City (as you regularly do) who clearly have a far higher ceiling is absolutely ridiculous. They spent more on players this season than MP has spent in his entire career, stretching back to Espanyol! Our fitness, athleticism and youth is to a certain extent, the equaliser. It is the reason your expectations have gone through the roof since MP arrived at the club. Attempting to mimic clubs like Man City, in training methods and tactics, with their obvious technical superiority would be a bit silly. Guyver – I would like to see us play a bit more like City with 5 defenders and 5 attackers we already have the personnel and will add more probably in the summer which will aid in squad rotation. Recently we discussed how to fit in all the AM’s we have yet nobody apart from Palmover seems to agree that going 5 attackers is an option. Ossie did try to do this but our calibre of player these days is much better especially in defence allowing us the opportunity to give it a go when and if possible. Technique wise our players are always amongst the best or atleast good (King, Naybet, Carrick, Modric, Berbatov, Bale, VDV) to name a few from our past and these days like I say we are much better especially in terms of depth so why not with the right tweaking and employing what we have already try and emulate City and go attacking against certain if not many teams. I think Dembele who is un-droppable could play DM and try and hold things together in front of a solid back 4 so why not?! How else do we incorporate all our attacking flair and the likes of what maybe added in the summer?! Would you not like to see Moura and Son on either wing with Eriksen, Alli and Kane also on the pitch for example?! Lamela would have to sit it out but could easily come on if needed and I reckon players like Malcom and Sessegnon could be added in the summer meaning apart from good squad rotation and level headedness by the players themselves that another way to accommodate is to use what we have best available to us and that is class attacking players of high value’s in flair and technique!!! El Jefe, Team formations and what they are trying to achieve is fascinating. Capelo’s Milian, Peps Barca and Ancheloti’s Real.M were all outstanding teams and achieved what they set out to do win trophies. Peps city are ok, and under another manager i doubt they would be doing any better some of those players have been there 3 season and only won one LC. Pep’s formation, training methods and management skills is what is setting him apart from the rest. Spurs should have been playing the way El Jefe said from the Lester season, however, Mp prefers the extra dm over a creative player. City players and staff had 4 totally free days off all together, just last month and after a busy schedule that had ended with their 1-1 draw v Burnley. They followed it with two convincing wins, first v Leicester and then v Basel. It was shortly followed by their FA cup defeat to L1’s Wigan. So it was good and not so good in the month of February and after their wee break. By contrast THFC have also lost just one match since then. Juve! … Swing and roundabouts! El Jefe, we are top of the form league despite playing man utd, arsenal and liverpool recently. Odd time to be making tactical/training adjustments to a problem that doesn’t appear to exist..
Also Dembele and the wingbacks are versatile. They switch between offensive and defensive depending on the game/circumstance. I wouldnt label them “defensive”. When managers other than MP, are at teams that have such great and superior tactical nous and play by far the more attacking and attractive football when compared to Spurs, it makes it so difficult to carry on supporting THFC. Guyver – I take your points on board and agree but would still be good to mix and match eventually especially against defensive teams and also to keep the opposition guessing.